One of my favourite things about Christmas is the parties leading up to it. 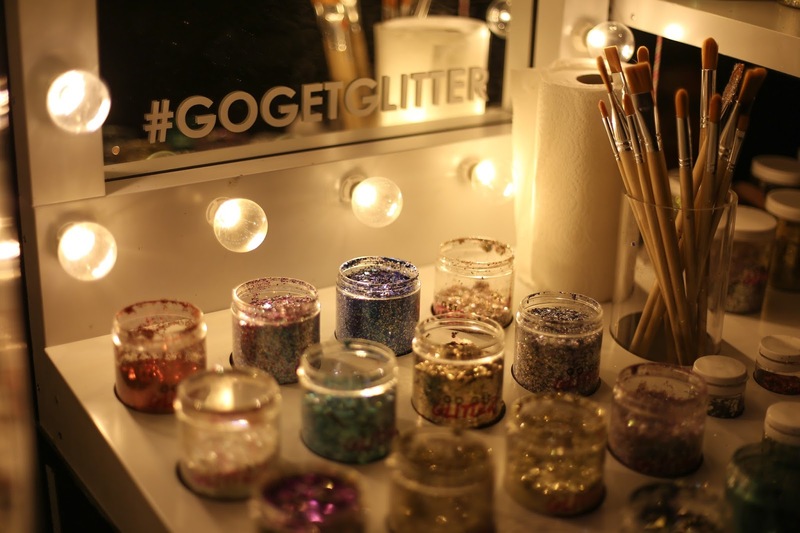 I love the glitz and glamour of a smart venue, getting together with friends for a natter and a giggle over drinks and nibbles, and of course, the excuse to get glammed up! I've always loved the ritual of getting ready for a night out - to be honest, for me it's as much fun as the event itself. In my ideal world, that ritual involves a bubble bath and a glass of champagne, followed by hours wrapped in a silk kimono while I apply scented body cream, do my nails... you get the picture. In reality, there might be time for a quick shower before I throw my dress on and go straight into the hair and makeup. Everything else needs to be done the night before, or else it probably isn't happening! 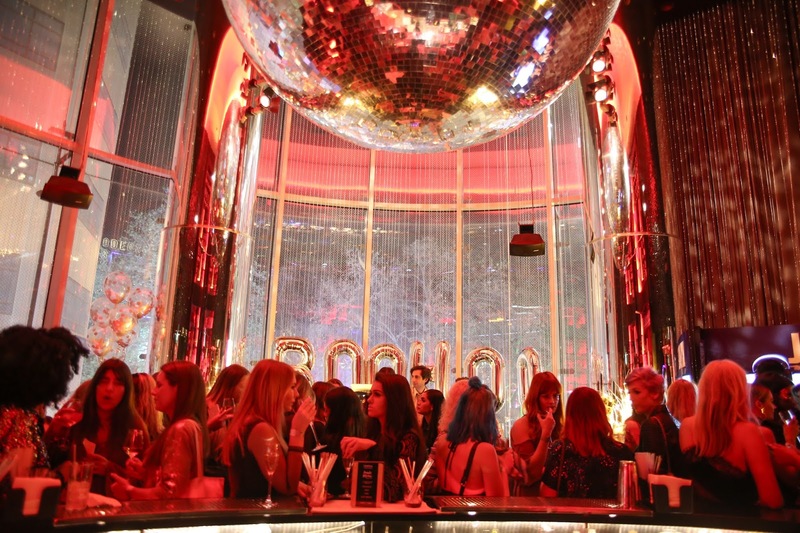 I was really excited when Boohoo invited me to their Christmas party at the W Hotel in Leicester Square this year. It sounded like a fantastic venue, I'd get to say hi to a few bloggers I'd met before, and best of all, plus ones were allowed, so I was able to bring my sister with me. Boohoo also very kindly offered to gift me a dress for the occasion. What more could any girl want? Preparation began a week or so before with my favourite tanning routine. The dress I was going to wear was quite demure, but there was still going to be a bit of flesh on show, so I wanted a bit of a glow. Often, instead of a regular fake tan, I'll use Dove Summer Revived for a few days leading up to an event. It's much less hassle to apply and gives a similar effect if you let the colour build up over a few applications. Next, nails. I always find that manicures take me the longest time to do, and there's nothing worse than rushing it and going out with a smudged nail (first world problems!) Often, I'll give myself a mani pedi the night before an event, so I have time to do it properly. This time, I went for the shade I'm Not Really A Waitress by OPI - a gorgeous ruby red with a pearlescent finish that's just perfect for this time of year. As my dress was black, I decided to go for a red lip, and in fact the makeup I ended up wearing for the occasion was very similar to the look I posted here. The biggest difference was that I used Mary Lou Manizer by theBalm as a highlight instead of Mac Soft and Gentle, as it packs a bit more of a punch. I didn't do anything different with my hair - just curled it like I always do and applied half a can of hairspray to protect it from any weather related mishaps on the journey there. With my dress being quite simple and understated, I allowed myself a little bit of sparkle when it came to accessories. The gold clutch bag and ring are years old, but I did treat myself to some new shoes from Topshop. How gorgeous are these? The shape of them is just perfect, and I'm completely in love with the beautiful embroidery and ballerina style ribbon ties. I honestly think the detail on these makes them look so much more expensive than they really are, and thanks to the block heel I can actually walk in them too! They're also available in plain black velvet and a sort of mermaid-esque shimmer finish. The embroidered ones are definitely my favourites, but given how amazing the shape is I'm seriously tempted to buy the plain black as well. Of course, in the middle of getting ready, you need to take a quick break to check social media. It's compulsory. And when you're finally ready, you need to take a blurry as hell mirror selfie. Because otherwise, you're missing the point. Haven't Boohoo done an amazing job with this dress? It's so pretty and easy to wear. I felt like a princess in it, but also super comfortable. I actually don't think the pictures on the website do it justice. Because Boohoo clothes in general are really affordable, it does leave you wondering about the quality, but I was pleasantly surprised when I received this. The dress feels weighty and soft to the touch, and I love the sheer striped overlay on the skirt. At just £25 I think it's a brilliant buy, and I'm tempted to snap it up in another colour, possibly the white. The party itself was so much fun. 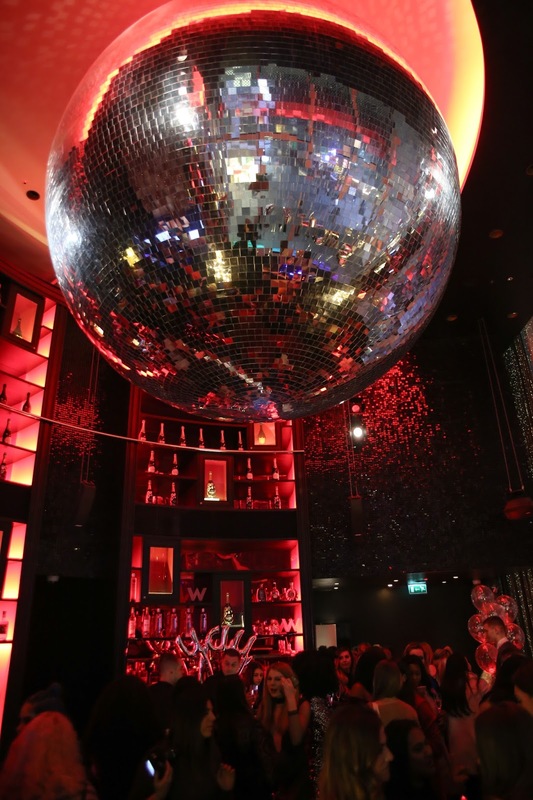 Held in the glamorous and very cool nightclub on the first floor of the W hotel, the atmosphere was buzzing. There was champagne aplenty, and all sorts of delicious food to snap up as it whizzed by on trays, including adorable mini cones of fish and chips. There was a photobooth, fabulous glittering face paint, great music and more. 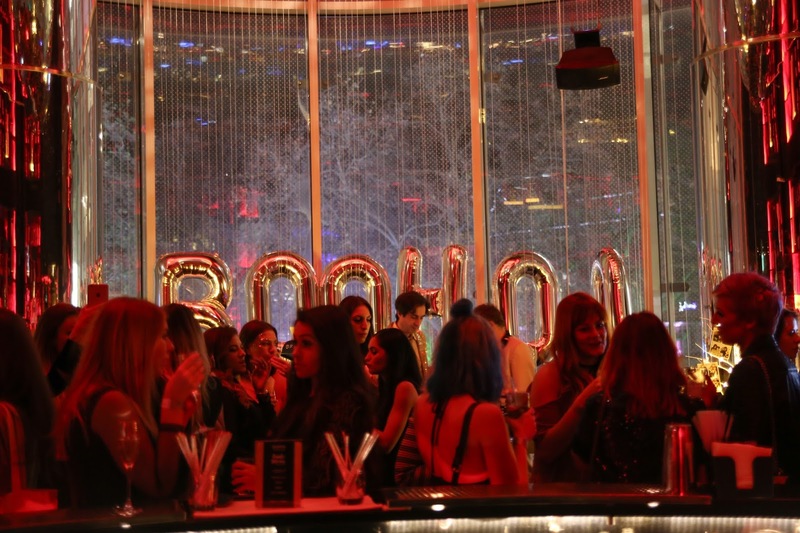 The following set of photos was taken by Boohoo, so thanks to them for allowing me to share them here, not to mention inviting me to such a great party! I didn't steal the balloons. Honestly. When the night was finally over, I was so happy I'd invested in this Zara Faux Fur (featured in my Coat Wishlist) to cosy up in on the way home. Not only did it look great over the dress, it worked equally well over jeans and a jumper the following day. This is yet another piece that looks and feels so much more expensive than its price tag would suggest, coming in at well under £100. 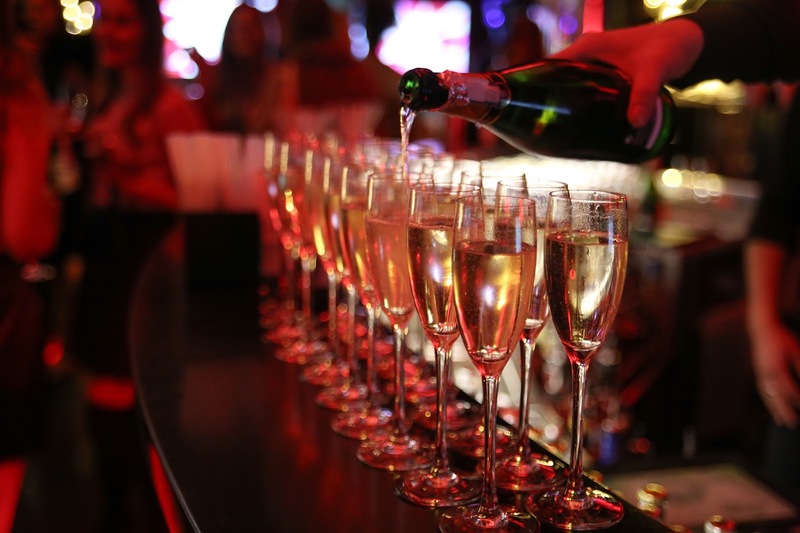 Have you got any Christmas parties planned in the coming weeks? And if so, what are you going to wear? What a lovely outfit! your look beautiful! Gorgeous! 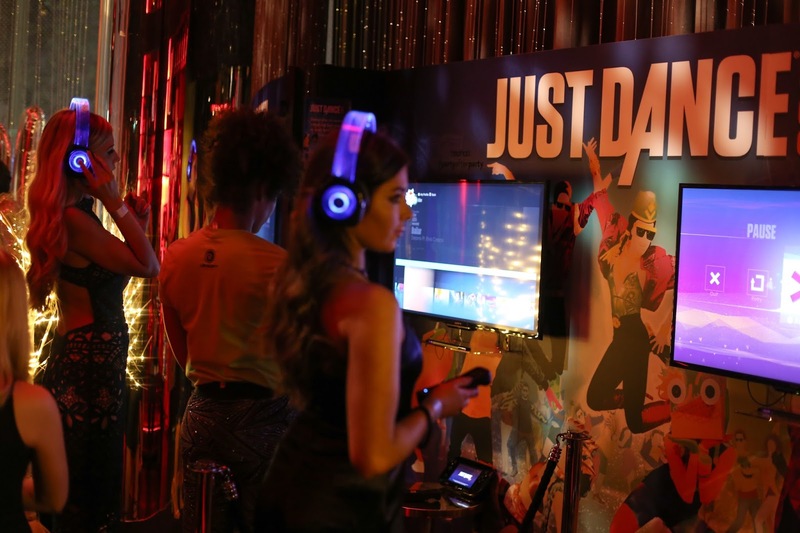 You have everything to dance the night away, this place looks amazing too. You look gorgeous! Looks like such an amazing event!! No parties in my near or distant future, but I have to say I do love the shoes. And red lips. It looks like it was such a great party! I'm loving your shoes and the dress of course! Have a great start into the new week my darling! what a cool experience, the party seemed awesome and you look great! Ohh this party looks like so much fun, such a pity I couldn't make it - like I said on Instagram, it would've been lovely to meet you! Your Boohoo dress is gorgeous and I LOVE those embroidered Topshop heels! Looks like you had an amazing time. The venue looks amazing and love the dress you chose! You're so beautiful, I love the heels. This looks like such a fun color!! And I love that shade of red lipstick! omg.. are you never gorgeous!? You look absolutely fabulous, and the party looks amazing too! Looks so much fun! Plus, you look great!